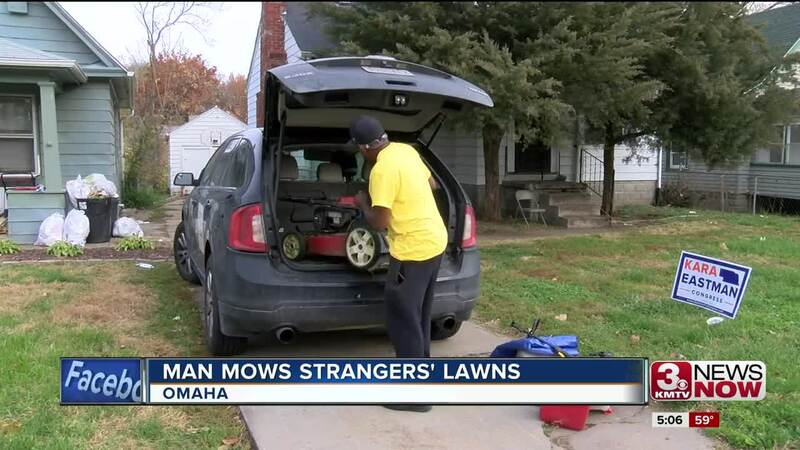 In July, Rodney Smith Jr. stopped in Omaha as part of his "50 States, 50 Lawns" tour to mow lawns for the elderly, veterans, single mothers and people living with disabilities in each state. He did accomplish his goal - his second time in crisscrossing the country with his lawn mower in tow. Tuesday, he visited Omaha again. Smith tweeted a photo of himself entering Nebraska last night and announced he had two lawns to mow in Omaha before heading to Kentucky. In less than 24 hours, Smith has been in Nebraska, Iowa and Minnesota. According to its website, Nebraska has four kids who have participated in the Raising Men Lawn Care Service's 50-yard challenge.